Locally owned and operated B&B Treetopping is your full service local provider of tree removal, wood chipping and cleanup services in 100 Mile House and surrounding areas. 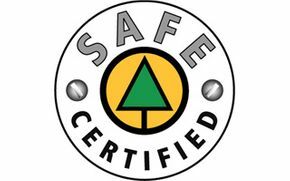 With over 20 years of forestry industry experience, B&B has the experience, knowledge, equipment and credentials to safely and efficiently handle all of your tree-related issues. B&B's owner, Kevin Birch, grew up in the Cariboo and has firsthand knowledge of what Cariboo weather and pests can do to your trees. Whether you need to protect your home, remove dangerous trees, or just clear your yard, B&B Treetopping has the expertise to get your trees cut, chipped, and cleaned up. Our tree services are available for any size job, for home or business. We also have proven experience in addressing the unique problems faced by recreational property owners who need to arrange tree work from a distance. Operating from our base in 100 Mile House, we provide service to customers in an area that extends from Cache Creek to Williams Lake and all of the surrounding communities, including the Interlakes and Canim Lake areas. You'll spot the B&B Treetopping trucks in the area. Feel free to stop and say hello. Or contact us to talk about your tree removal needs or to schedule an appointment. Are you experienced with tree work and want to join our team? Submit your resume on our employment page.